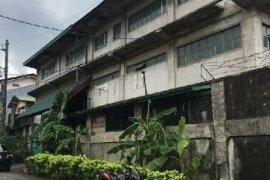 A 3-STORY ANTIPOLO WAREHOUSE FOR LEASE. For Sale 2BR in Makati City near Greenbelt, Ayala & Airport. Co-working Space with Private & Shared Offices in Antipolo City. 3BR 3T&B Corner H&L For Rent at Forest Ridge Antipolo City. House and Lot for sale or rent in filinvest east caintarizal. Duplex 3BR for rent San Lorenzo Village, Makati. SUMMERHILLS EXECUTIVE VILLAGE, Antipolo City. 600 SQM Commercial Lot preferably Franchise businesses. 102 Plaza, Pagrai , antipolo city. new condo for rent along Marcos hi - way. Near Cogeo, Fatima. 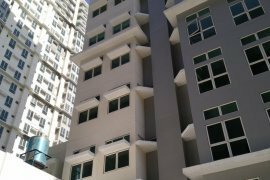 18SQM CONDO The best location!. studio type condo unit for rent along marcos highway. 57 sqm office space for lease. FOR RENT: House & Lot, Ideal for long term business. Hello, Please contact me, I am interested in properties for Rent in Antipolo. Best Regards. Dot Property Philippines is an online property portal where thousands of property searches happen every day. Start your search today for affordable property for rent in Antipolo from 28 available listings. Condominiums, houses, commercial space, and luxury properties are available for rent in Antipolo. Antipolo’s properties for rent are either listed by private home owners or property agents such as Michelle Madarang - Trusted Real Estate Broker, Gena Mahinay-Rilling and loreza 'dexra' asistio. The average asking price for property rentals in Antipolo is ₱ 0 for houses and ₱ 0 for lands. Refine your search to help you find the perfect Antipolo property by price and number of bedrooms.